Thinking of getting a pig? Pigs Inn Heaven Ltd is a sanctuary for unwanted pet pigs and terrapin/turtles. We have been rescuing pet pigs for 7 years. Due to rehoming we now have 64 pigs in 2018. 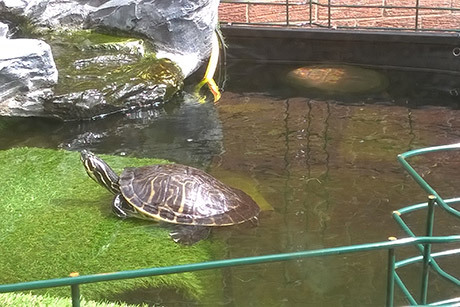 In 2011 we rescued our very first 2 pet terrapins and now in 2018 have 43. Number of pigs have changed over the years due to rehoming and rescuing. In 2018 we managed to rehome 17 pet pigs to good homes and continue to rehome successfully. In 2018 we also rescued 26 pet pigs and get ongoing weekly calls off the public to take them in. “A Micro Pig is a Piglet then it Grows”. No animal is released from our care until a full environment/house check has been carried out of where the animals will end up living in hopefully their forever home with a loving and caring family. Why breed a pig as a pet then sell it and tell people it will only grow to the size of a small Labrador but end up growing up to 2 metres in height and weighing a staggering 200 Kilos. 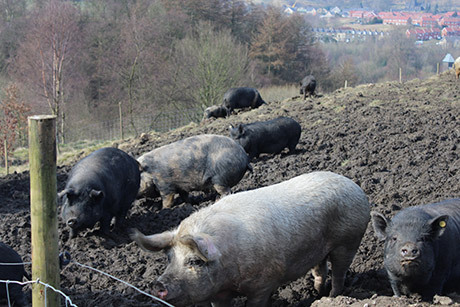 Please read more on our Myth of the Micro Pig page. Please book your private viewing today and interact with the animals. Bring your wellies, old clothing and be prepared to muck in and muck out. £5 per person between 10am – 3pm Monday – Friday.